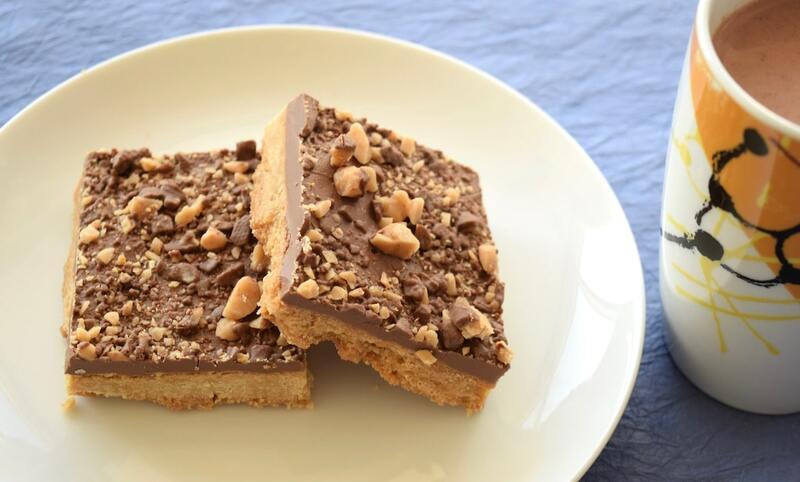 These toffee squares make for a quick and easy dessert or snack. I found the basic recipe on epicurious, but I did make some changes, based on my preferences. If I were to make these again, I’d just skip the chocolate topping and make the crust into cookies. It was that good. In fact, the chocolate kind of detracted from the crust/cookie part. Preheat your oven to 350°F, and line a 9-by-13-inch baking pan with parchment paper. For the crust: in a large bowl, with an electric mixer, beat the butter and sugar on medium speed until light (about 2 minutes). Then beat in the egg yolk, vanilla, and salt. On the lowest speed, gradually beat in the flour just until mixed. The resulting dough will be stiff. Make sure the dough is well mixed and pat it evenly into the bottom of the baking pan. You’ll be really glad you used parchment paper, by the way. Bake in the center of the oven until pale gold on top, about 20 minutes. I slightly overcooked mine, which made the crust more brittle than it should have been. So be careful. Remove the pan from the oven and scatter the chocolate pieces evenly over the crust. Return the pan to the oven for 1 minute. Remove the pan and spread the chocolate evenly over the crust. 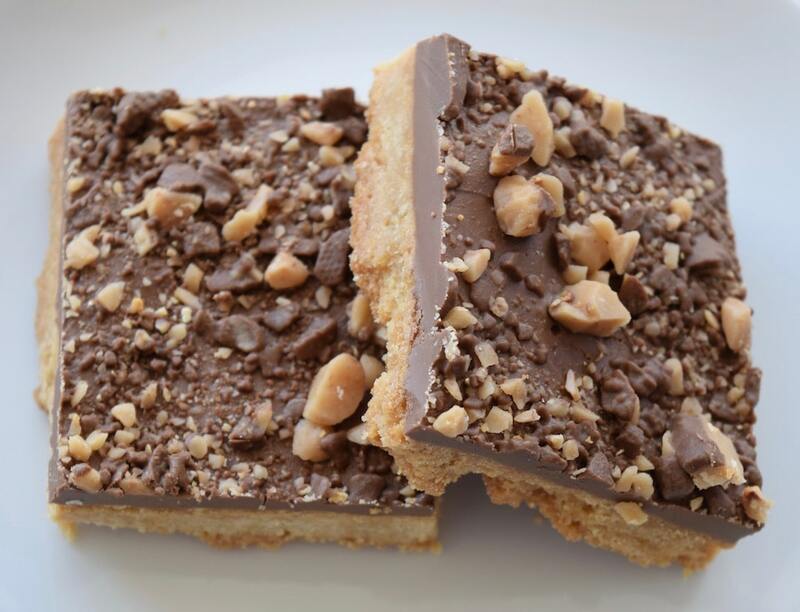 Sprinkle evenly with the almonds or heath bar crunch. Let cool completely in the pan on a wire rack. When cool remove from the pan and slice to whatever size works best for you.